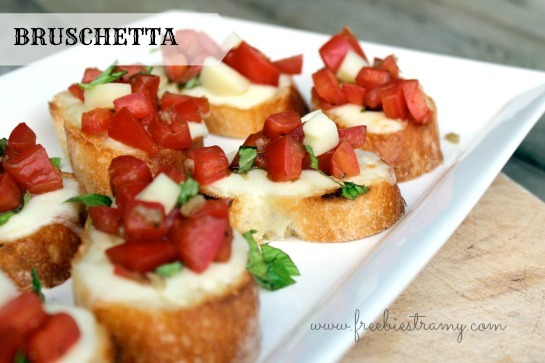 If you've got 15 minutes and are looking for a delicious appetizer to start off your favorite Italian meal, then this bruschetta recipe is the answer for you. Preheat oven to 400 degrees F/200 degrees C. In a medium bowl, combine tomatoes, onions, oil, oregano, basil and parsley. Place bread on a baking sheet and top with tomato mixture, then sprinkle with Parmesan. Bake in preheated oven for 8 to 10 minutes or until bottom of bread is browned. Allow to cool five minutes before serving.